Once again, it is time for our weekly news round-up, where we put the most interesting stories from the past seven days for anyone who needs to catch up. Without a doubt, the highlight of last week was Google's official media event, where the latest Nexus smartphones were announced. 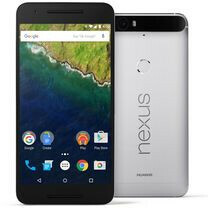 The Nexus 6P, made by Huawei, is the more potent handset among the two, sporting a 5.7-inch display and a Snapdragon 810 SoC. As for the LG-made Nexus 5X, it is powered by a Snapdragon 808 chip and has a smaller, 5.2-inch screen. In other news, LG announced a brand new smartphone – a high-end Android handset with a few peculiar tricks up its sleeve. One of them is the secondary screen positioned above the main display. Its function is to display the time, date, the battery level and weather information when the main screen is off. Oh, and the camera on its back has a manual video mode, which is neat for those who are serious about their videos. And speaking of announcements, the HTC One M9+ Supreme Camera Edition is, you guessed it, a version of the M9+ with an improved camera. The new shooter has 21MP of resolution and takes advantage of three different types of focusing technologies. Say hello to the Nexus 5X and the Nexus 6P. Both smartphones come running the latest version of Android, 6.0 Marshmallow, which brings improved battery life, Android Pay mobile payments, better control over app permissions, and other minor and major features. The phones are already on pre-order, expected to launch later in October. The Pixel C was also unveiled at the same media event. Think of it as a 2-in-one convertible device – a tablet that docks into a physical keyboard (sold separately). The Pixel C has a high-quality 10-inch display, a quad-core Nvidia Tegra X1 CPU makes it run, and all is housed inside a solid metal enclosure. As we mentioned above, the LG V10 stands out with its secondary screen and with the powerful camera on its back. What we haven't yet mentioned is that there are two front-facing cameras, which allow you to take 120-degree, wide angle selfies. Specs include a 5.7-inch screen with a 1440 x 2560 resolution, Snapdragon 808, 4GB of RAM, and 64GB of internal memory. Last week, LG also announced the 2nd edition of its LG Watch Urbane smartwatch. The upgraded model stands out with its cellular connectivity, allowing it to be connected to the internet even when it isn't tethered to a smartphone. The HTC One M9+ Supreme Camera Edition relies on a 21MP camera with phase-detection, laser-assisted, and contrast-detection auto-focus. There's also optical image stabilization. Camera aside, the rest of the specs stay the same, which is to say a great all-around package with a 5.2-inch Quad HD (1440 x 2560) resolution display and a 64-bit MediaTek 2.2 GHz octa-core Helio X10 chipset. We will also get 3 GB of RAM, a 4 MP UltraPixel selfie cam in the front, and a 2,840 mAh battery to back it all up. New Lumia phones are surely coming at Microsoft's upcoming media event. We can say that with confidence as two new phones popped up accidentally on Microsoft's web site. Unsurprisingly, the suspects are the Lumia 950 and Lumia 950 XL, which we know a lot about already thanks to the rumor mill. The fine folks at iFixit took apart an iPhone 6s Plus to see what makes it tick. Here's your peek at the phone's innards – its new A9 chip, its battery, its Taptic Engine, and more. And finally, BlackBerry posted the first press photos of its new BlackBerry Priv smartphone. This is the company's new phone – running Android and sporting a physical slide-out keyboard. Yawn. Wake me up when the S7 is announced. This year is finished with decent smartphones, save for maybe the 950XL.